Welcome to College Station, Texas, a place you have probably never heard of. It is home to the Texas A&M University, the first public university in Texas, and 58,577 students called Aggies, who all use “Howdy” as an official greeting. 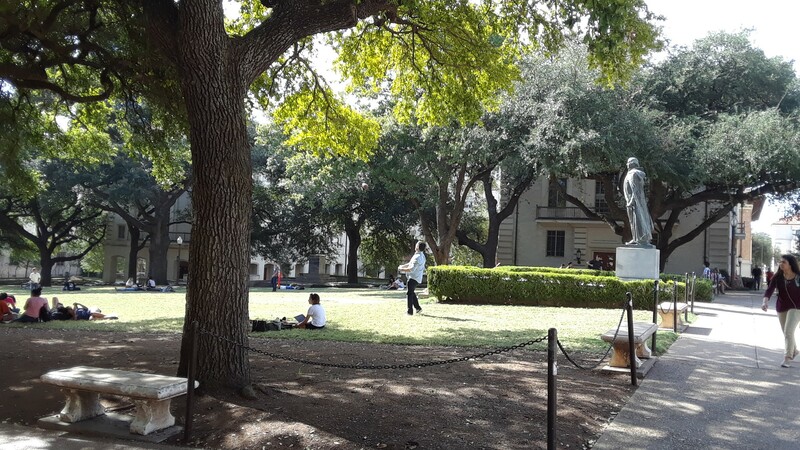 The A&M campus is one of the largest in the United States, housing one of five largest public universities in the country. To top off the superlatives, the campus now boasts the largest American football stadium in the state of Texas with capacity over 100,000 seats. 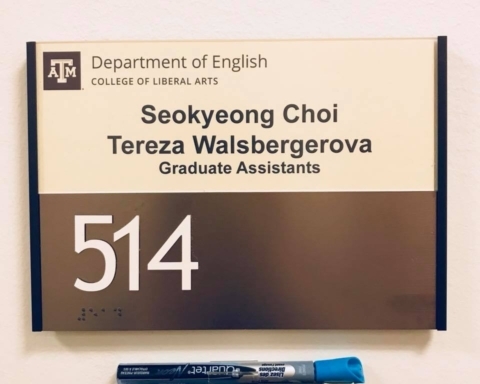 Texas A&M is a university with rich history, numerous traditions that make no sense to outsiders, and Czech connections. Aggie rings. Photo Courtesy of Rachelle Cates. How does one end up in College Station? You would not believe how many people of Czech(oslovak) ancestry live in Texas: just in College Station, there are numerous streets named after Czechoslovak migrants. The official sausage of the Fightin’ Texas Aggies is Slováček sausage from Snook, and there is an annual “Kolache Festival” in Caldwell, a town not far from College Station. When I go to meetings at the department here, it is common to have “kolache” served for snack and it took me a while – battling some eye-rolling – to teach my colleagues to stop saying “kolaches” for plural. The Czechs, Czech cuisine, Czech dances are everywhere in Texas and I get to spread the Czech love even further by teaching Czech classes for the Brazos Valley Czech Heritage Society, an organization closely associated with the Czech Educational Foundation of Texas, which offers the Hlavinka Fellowship to Czech doctoral students of English from the Masaryk and Palacký universities. The fellowship provides a unique opportunity to study at a renowned college, earn an MA degree, and learn what it is like to be an Aggie. Almost everything is paid for, and I get to be both a student and a teaching assistant at A&M. The choice to come here was not difficult, to be honest. Having been an exchange student at the University of Tennessee at Chattanooga in 2009-10, I knew I wanted to go back to the US and take courses where I would be pushed to do my best and do research that I could not normally do in Brno. Although the emphasis at the English department at A&M is on digital humanities, and medieval and early modern periods – oh, by the way, I forgot to mention that the A&M library is the official archive of George R.R. Martin’s works, and the actual Iron Throne from the GoT series will be on display here once the show is done (!) 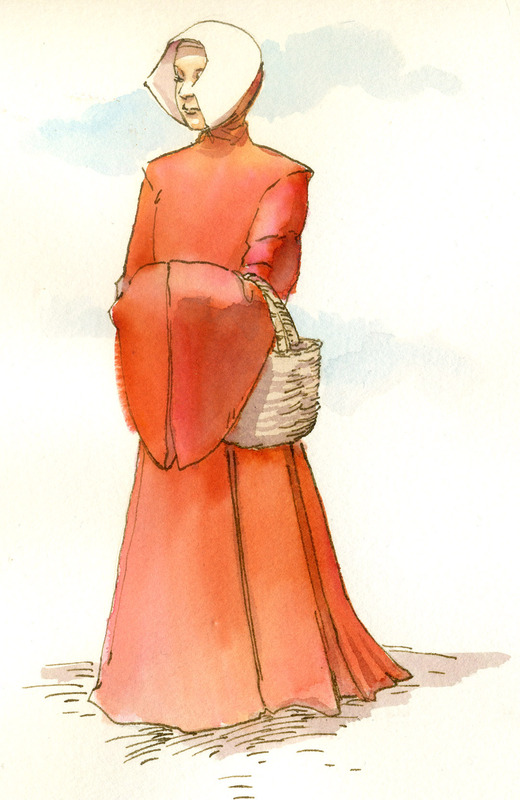 – I have been able to find enough professors and courses to considerably broaden my horizons. After all, it is not very common for Czech students of English to study the material and print culture of the texts they read, or to get to work with Shakespeare’s actual First Folio. 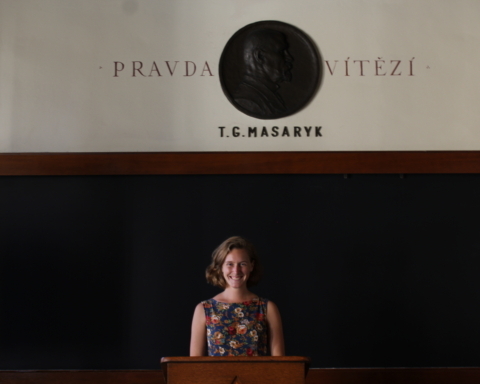 Graduate-level classes are smaller than in Brno as 15 students is the maximum number allowed. 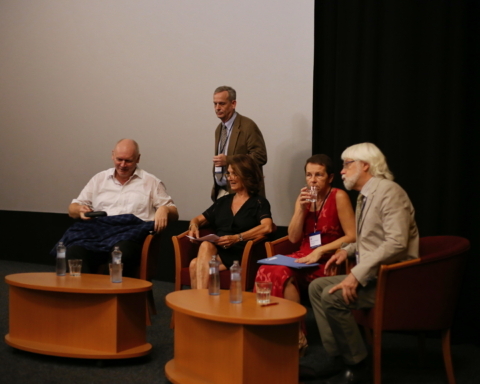 I have taken courses where there were as few as 5 of us, and they were some of the best courses I have ever attended. The distribution of courses at A&M is different than in Brno: you must take one course in pre-1660 lit, one in 1660-1900, one global/transnational, one about a topic/theme, and one in theory. You can also choose whether you want to finish your degree with an exam, or a thesis. The non-thesis option is often preferred by those of my colleagues here, who wish to pursue their PhD. I opted for the thesis, because over the course of writing one of my final papers, I came across the intriguing topic of African American aviation and I want to explore it further. The English department at A&M has even been kind enough to provide me with funds to go do archival research on aviation in Chicago. So, I get to dig in archives, which is extremely exciting in and of itself, and visit Chicago. That is why I came here (American football was the other reason, really). 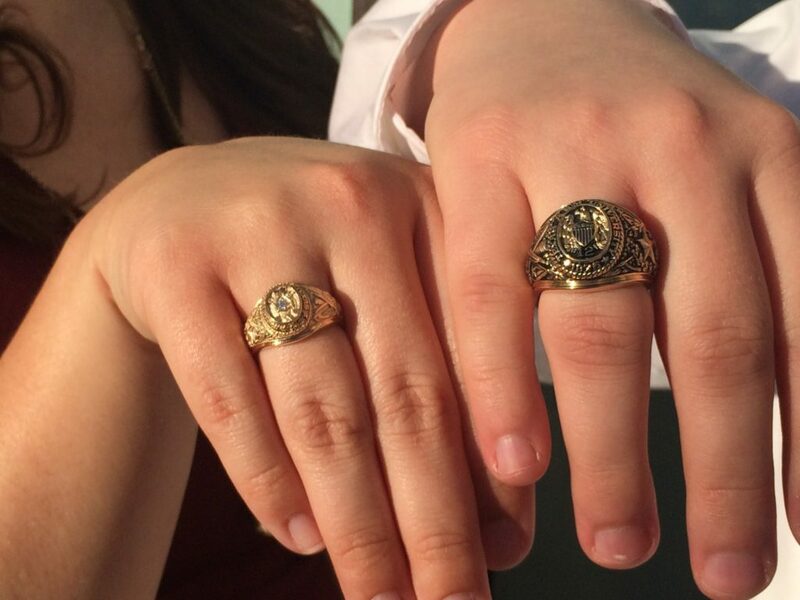 As mentioned above, Aggies are a traditional bunch and one of their most revered traditions, along with tailgating (google it) before sporting events, is the Aggie Ring Day, during which graduating seniors get to buy a ring for $1,200 (female students pay “only” around $650). Family and friends come to College Station to celebrate the moment with the students, who then get to wear one of the most recognizable pieces of jewelry in the US. An unofficial tradition connected with the Aggie Ring Day is that of drinking a pitcher of flat beer in one go – or something like that. At any rate, there is plenty of traditions to go around at A&M. Gig’Em – it basically means good bye, but also stands for “go get them.” The reason I am using it here, apart from perhaps having become too much of an Aggie by now, is that, in conclusion, I want to highlight how special it is to study at an American university campus – if you get a chance to study abroad, especially in North America, do take it and enjoy yourself. You will attend courses that you have only dreamt of, and do research (if only for your final essays) that is close to your heart and not limited by the resources at your disposal in Brno. You will experience a culture unlike any other – with all its positives (and some negatives, especially when your football team loses). Jan in front of the Texas State Capitol in Austin. Photo courtesy of Jan Beneš. Jan Beneš earned his bachelor degree in European Studies and International Relations at the Faculty of Social Studies of Masaryk University in Brno and holds master’s degrees in English Language and Literature and in English-language Translation. 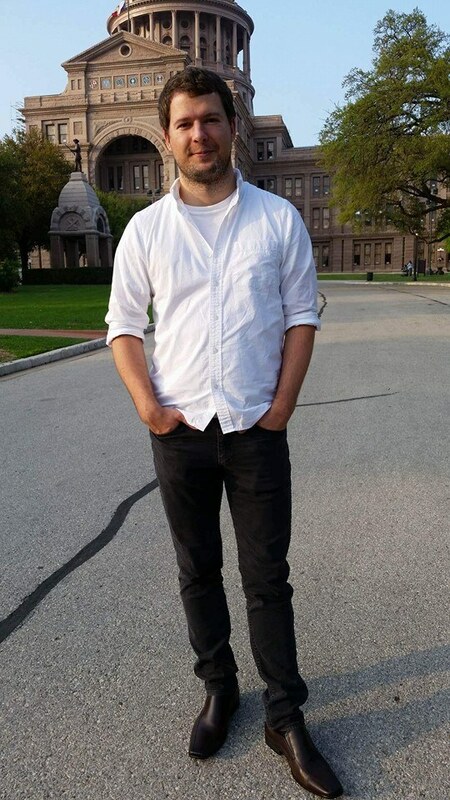 He spent two semesters studying at the University of Tennessee at Chattanooga, and is currently studying at Texas A&M. His research activities focus mostly on African American literature during the Harlem Renaissance. Outside of academics, he enjoys watching American football on the collegiate and professional level.